Wondering how to get yourself on the road to financial health? Consulting a financial advisor about your retirement plan is probably the best route you could take. We start by asking for the details of your current financial situation, including your savings, investment patterns, liabilities (such as loans, credit card debt or a mortgage) and future obligations such as education costs for your children. Many advisors use a software package that helps analyze this information to give a picture of your financial health. The next step is to examine what kind of retirement you see for yourself. The analysis will uncover inefficiencies in your investments and help build a better portfolio that will carry you through your retirement years. Planners used to assume that you would need about 75 per cent of your current income after retirement. The thinking was that you could eliminate your work-related expenses (such as commuting and work clothes) once you retired. But fewer Canadians are opting for a quiet retirement at home. Many purchase a second home in a warmer climate or choose this time to travel. Your initial needs can be as high as, or even higher than, your current income. Later in life, in your 70s and 80s, you may prefer to stay home. You may then be able to live on a more modest income if you do not need the money for health care. How long will you live? How long will you work? Our increasing lifespan is another big variable in retirement planning. The average Canadian man can expect to live to age 76. Canadian women live an average of 81 years. And many people live even longer. Most advisors will insist you plan until at least age 90. Another crucial question is how long you will continue to work. Will you have a choice of retirement age or will your employer offer you a pension while you are still in your early 60s? Many people hope to retire early or spend the last few working years consulting and easing into retirement. Can you save enough money to support yourself for 30 years after retirement? Saving is only part of the equation – you also have to let your money grow in investments that beat inflation. Inflation can erode the spending power of your retirement income, both while you are saving and once you have retired. Your advisor will factor in the effects of inflation on both your retirement income and your investment portfolio. Most Canadians have several sources of income after retirement. You will likely draw Canada Pension Plan or Quebec Pension Plan benefits. Lower-income Canadians will receive Old Age Security payments (and perhaps other supplements). You may have a pension or a deferred profit sharing plan from an employer. And you should have savings, both inside registered retirement savings plans (RRSPs) and in non-registered investments. by the end of the calendar year in which you reach age 71. You can transfer the RRSP money to a Registered Retirement Income Fund (you must withdraw money from a RRIF annually) or use it to purchase a retirement income annuity. 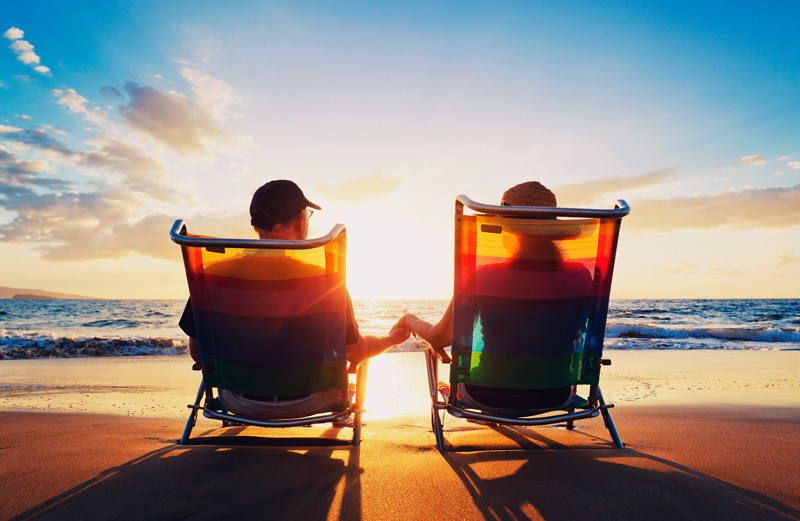 Consider where your partner will be in the years after your retirement. Will he or she still have some years to go on earning and saving? Have you considered balancing your incomes after retirement? The more equal your incomes are; the less tax you may have to pay. The most difficult part of retirement planning is to look at how you save and spend your money now. Consider your current cash flow. “Fixed” expenses can include costs such as mortgage, utility, rent and loan payments, food, child care and regular contributions to charity or to RRSPs. Anything left of your earned income is what you are spending. A thorough retirement planner will analyse these spending patterns and try to find ways to use your money more effectively. Perhaps you have credit card debt that would be better handled through a line of credit. Perhaps your loans or liabilities can be handled in a way that makes them tax-deductible. Any money you can free up gives you extra opportunities for saving. Your advisor can help you set up a regular savings plan that puts the money into a retirement portfolio before you can spend it. As your financial advisor we will make recommendations about the structure of your portfolio. These suggestions will consider your tolerance for risk, but be aggressive enough to give you the growth you need. The earlier you begin the process, the longer your money can grow. Getting your RRSPs into shape is essential. We may recommend saving in non-registered investments as well. Ask us to show you the long-term performance of plan we have structured – this will help you understand your investment style and choose something appropriate for yourself. Make a date on your calendar to revisit this investment plan in three or six months. Everyone should review their retirement savings profile at least twice a year. What would happen if you were suddenly disabled in some way, and unable to continue your regular work or activity? What if you no longer had an income to meet ongoing expenses? How would this loss affect your dependents? Disability strikes far more frequently than premature death. Temporary or long-term disability can happen at any age. It can come suddenly from an accident, or severe mental or physical illness, or develop over time. A third of all people now aged 35 will be unable to work for at least six months before reaching age 65. 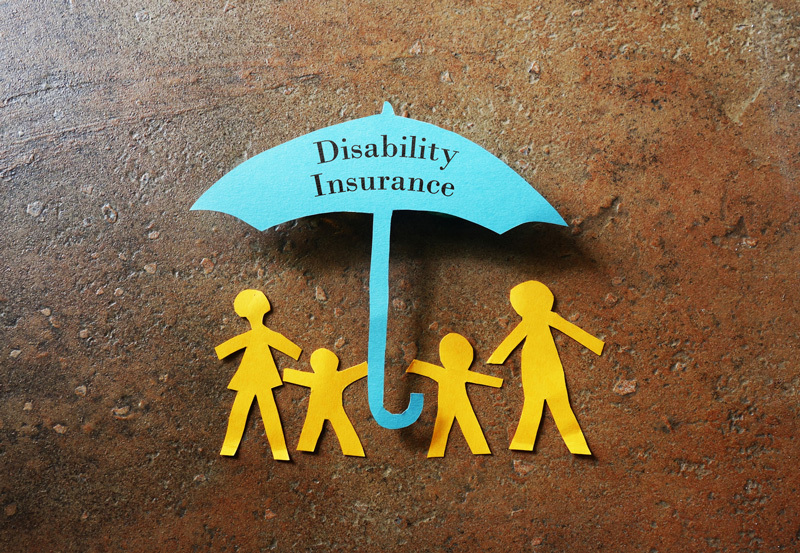 Having adequate disability insurance is crucial. It can mean the difference between low-income future employment, and having the funds needed to prepare for a new career. Your family can be financially ruined, or financially secure. 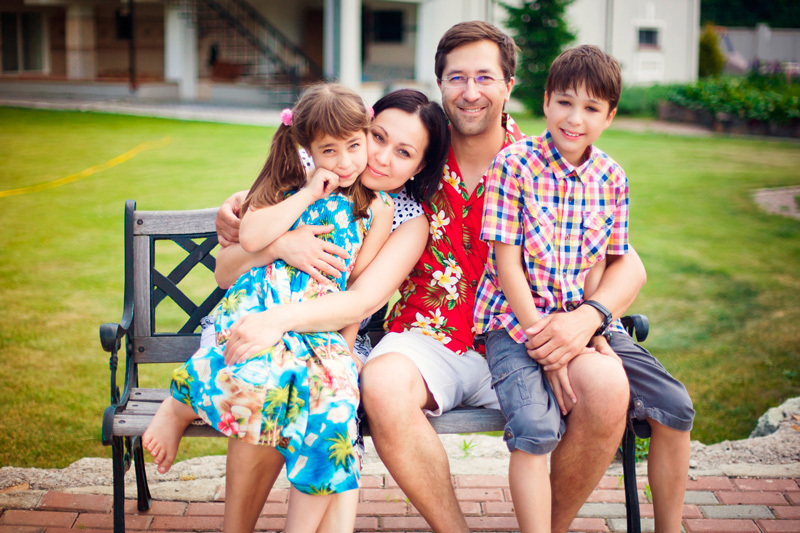 Adequate disability insurance should be a part of your financial plans, for yourself and for your family. Close to eight million Canadians have disability insurance coverage through group plans, often through work. However, many people are not covered adequately, and some are not covered at all. There are various limits in group policies. The plan may pay only a percentage of your gross salary, or it may have a maximum payout that doesn’t meet your needs. It may only cover your inability to perform “any” work, rather than your “own occupation,” or have a restrictive definition for partial disability. Group plans also generally terminate when you leave an employer for any reason. This can be a major cause of concern for many Canadians. Even if you start a new job right away, you may have to wait several months to join your new employer’s plan (assuming there is one). Some employers offer “top-up” disability insurance policies to add to the standard coverage provided in most group policies. These are suitable for those who need more extensive coverage. However, you should check closely to determine how a top-up policy will affect your group plan benefits. Nearly 2.3 million Canadians, or almost 17 per cent of the total workforce, are now self-employed, and that number is growing rapidly. Provincial workers’ compensation programs or the federal employment insurance program provide basic disability coverage. However, these plans provide limited coverage, with relatively low benefits. Most self-employed people need additional income protection insurance. Older self-employed persons may find it difficult and expensive to obtain individual disability insurance. It’s obviously better to buy such a policy when you are younger. Look carefully at how your policy defines a “disability.” The best policies, and the more expensive ones, offer “own occupation” or “regular occupation” coverage. In these policies, disability is defined as being unable to perform the duties of your usual job. People in professions demanding special education or experience should look for this type of policy. Under some policies, you are disabled only if you are unable to work at any job for which you are qualified by education, training, or experience. This is an “any occupation” definition. The least comprehensive policies cover only “total disability,” or the inability to work at any job at all. Some policies cover disability arising from accidents or illness. Some will protect you only from injuries and not illness. Check that you are covered both on the job and in your leisure hours. Many self-employed people run into affordability problems when they try to arrange disability coverage. As the policies become more comprehensive, they also become more expensive. Your insurance advisor can help you find a policy that will adequately protect you and your family. There are almost as many reasons to buy life insurance, as there are people. Everyone has different responsibilities. Meeting those responsibilities usually requires money. Life insurance, a contractual agreement between you and a life insurance company, can guarantee that the money is there when it’s needed. Life insurance was established to provide funds at death for such items as paying final expenses and debts, and providing an income for dependents. In the case of cash-value insurance, living policy owners can benefit from their policy in terms of disability coverage, annuity benefits and emergency funds. Policy owners may also be entitled to dividends. Buying life insurance can be complex because of the array of options and types of policies available. Trained insurance and financial advisors are invaluable in sorting through the maze. An advisor who is licensed to sell life insurance can help you select the financial product that best fits your needs. We will conduct a needs analysis that addresses your financial situation, then will document current and future goals to develop an individualized financial plan to achieve those goals. As part of this process, we will thoroughly explain products and options to help you arrive at an informed decision. Individual needs may vary and there is no single answer that will suit everyone. While term insurance may be appropriate to cover a short-term or temporary need, permanent insurance or a mix of the two might better serve your needs. We can assist you in ensuring the appropriate type of coverage is considered by taking into account personal circumstances. Keep in mind that your level of life insurance coverage may need to be changed as your circumstances and age change. You should plan to review and update your policies every few years. When you make an application for a life insurance policy, with our help, you must provide information that is accurate, honest and complete. Otherwise, the payment for a claim may be denied. In some cases, a medical examination may be required. When you receive the policy, it is to your advantage to read it over very carefully us to explain any points that are confusing. If you change your mind about your purchase, most life insurance policies come with a money-back guarantee called a “rescission right.” Simply return the policy to the insurer within 10 days of receiving it. Any premiums paid will be refunded. Buying life insurance can be complicated because of the many options available. However, we have a full understanding of insurance and insurance products, and can work with you to find the best insurance plan to meet your needs and your budget.